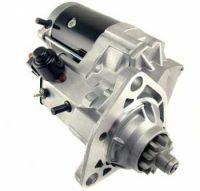 Have you checked out the Denso R5 starter? EMS has a large number of these units which are designed to replace 40MT and 42MT applications. The know how and proven quality of the Denso OSGR is now available for the heart and soul of the trucking industry, the class 8 trucks. Give your EMS representative a call and put this workhorse in your stable.